Sometimes, even the most experienced drivers will get into a car accident. 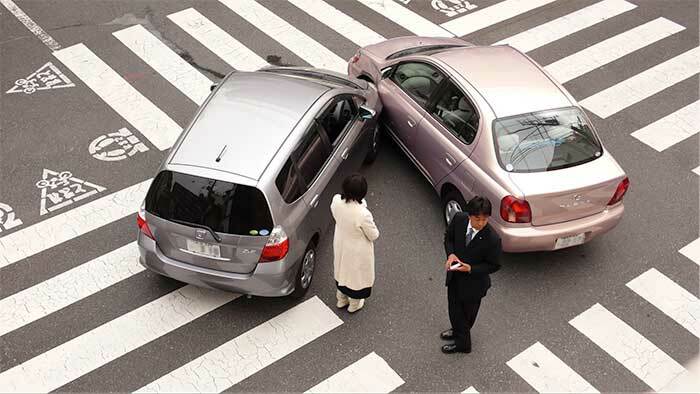 Unfortunately, not everyone knows how to handle a traffic accident, but it’s absolutely vital to never leave the scene of an accident until you are sure you are cleared to do so. If you want to be able to handle an accident in a cool, calm, and collected manner, read on to find out about your state’s traffic laws regarding leaving the scene of an accident. State law dictates that drivers involved in an accident have to follow a preset number of steps depending on the accident situation. In each of the 50 states, traffic laws are relatively consistent in what qualifies as a “hit and run.” It should be noted that leaving the scene of an accident is 100% illegal, and those who do leave the scene without fulfilling obligations are subject to big consequences. Injuries to anybody, whether it be a driver, passenger, or pedestrian. A fatality of a driver, passenger, or pedestrian. State traffic laws say a driver has to stop the vehicle as soon as it is safe to pull over. Then, an exchange of identification takes place, and insurance certificates and contact information must also be traded. When a driver has an accident with a parked vehicle or property such as a home or piece of equipment, the driver is required to make a good effort at finding the owner of the property or vehicle and explaining to them what happened. As an example, if someone hits a parked vehicle, they must take note of the plate number, make, and model of the car and leave a piece of paper with contact information. When personal property is damaged, a person has to try and track down the owner of the property owner, and if it is safe to do so, leave a note with contact information. When you are involved in an accident that involves injuries, you have to take reasonable action to help those who are injured by notifying emergency services. Usually, when an ambulance or fire truck is sent to the scene of the accident, the local or state police are also dispatched to the scene. However, this isn’t always the case, so it may be the responsibility of the driver in certain cases. When speaking with emergency personnel, it’s important to remain calm and report where the accident took place. You must also tell them how many people are injured and give your name. When a driver flees the scene of the accident, he or she is committing a “hit and run,” and the minimum penalty is usually going to be a traffic ticket. If a driver causes injuries or a fatality and flees the scene, they may be subject to jail time and a high fines. A driver leaving the scene of the accident involving a fatality or injury of someone opens themselves up to very serious consequences such as thousands in fines and long-term jail time. In all 50 states, leaving the scene of an accident with injury or death is a felony. You definitely need to think twice if you are considering leaving the scene of an accident. It doesn’t matter whether you believe you are at fault or not; you must fulfill your obligations at the scene.